We recently renewed our effort to boost the profile of our blog and increase quality traffic to our posts. As part of our improvement process, we researched successful marketers and studied their advice on how to promote your blog. Our objective was simple – learn and implement the best blog growth strategies and tactics to boost our business. Much of the trusted blogging advice emphasizes long-term strategies – like building great content and nurturing an email list. This is clearly solid, reliable advice. But we were left wondering – What can we do to promote our blog right now? We have over 500 blog posts – some of which already drive a decent amount of traffic. We were looking for concrete steps we could take in just a few minutes to help drive traffic to our blog immediately. We also wanted to make sure we have a sturdy blog promotion foundation in place so that we are in the best position to get the most traffic and attention from each new post we create. 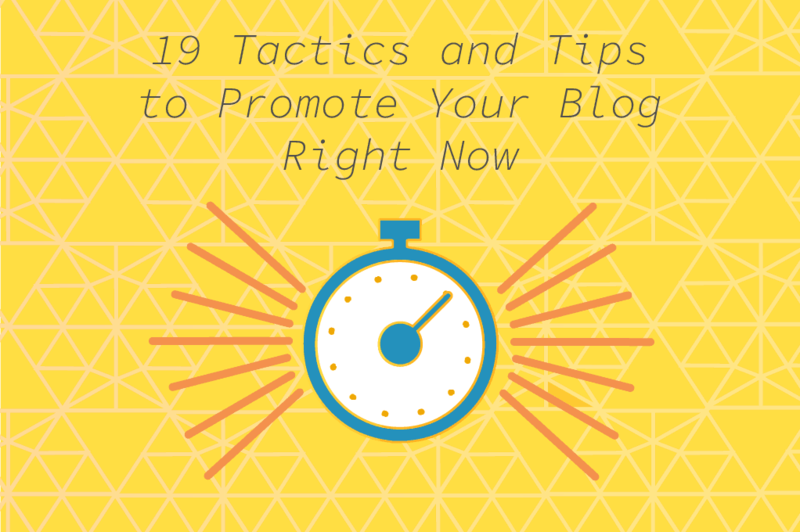 Here’s some of the best ideas we found that can help you promote your blog and get traffic with just a few minutes of your time. People are spending time across an increasing number of social media platforms and on multiple devices. It’s easy (and cheap) to promote your blog posts across your social media profiles and pages. Usage stats from Statista, Pinterest and Raka Creative. Then when you create a new blog post, share a link, a photo and a short introduction or pitch to all your social media profiles and pages. This ensures your latest content is instantly shared with all your followers. The faster your post receives likes, retweets and shares, the more credibility it has – and the higher the likelihood it will be shared and viewed by others. To make this even easier, set up a social media auto-poster, like dlvr.it, to automatically post your latest blog posts across all your social networks as soon as they go live on your blog. To increase the chances of breaking through and getting the attention of your readers at the right moment, it’s best to share your new posts more than once. 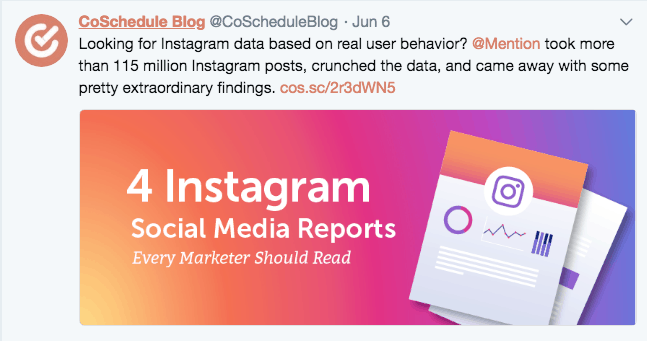 When you launch a new blog post, share it with your social pages instantly, then schedule posts to your social media pages for a few hours and a few days later. Sharing your posts multiple times can double (or more) your traffic. 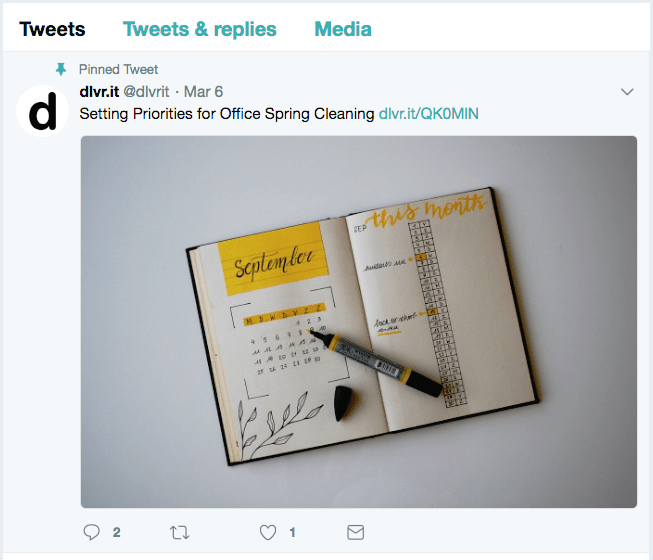 If you are in a pinch for time, try dlvr.it’s Echo tool to automatically post your original content instantly, then post two additional variations of your post hours or days later. We’ve discovered that our most successful blog posts — the ones that drive the most traffic — are Evergreen. In other words, these posts are interesting and valuable to people months or even years after they were originally created. In our case, most traffic flows to these pages via Google search. People search for the same keywords years after the post was written, and click through to our blog because these posts still answer questions or address issues we wrote about years ago. What makes these posts interesting to people searching Google, likely makes these posts interesting to people on Facebook, Twitter and beyond. Identify your evergreen content and reshare it across your social media profiles. Check your blog stats for the last few months and determine which older posts are still attracting visitors. Then share these posts again to your followers and subscribers. To make it even easier to share your evergreen content, try dlvr.it’s EverQueue. You can quickly fill your social media sharing queue with your evergreen content, then once it is posted, dlvr.it will automatically recycle it back into your queue and share it again and again in the future. Think of your email signature as free advertising space. Why not promote your blog every time your send an email? Include a link to a recent blog post or one of your blog’s all time favorites. Or…include a link to both. It’s free and easy to create and update your email signature with fresh blog links on a regular basis. Or you can use a services like WiseStamp or Email Signature Rescue. As noted above, the half-life of a social media post is measured in mere minutes. Think about that. The typical social media post gets half of the attention it will ever get within a few moments of going live. Maybe that’s acceptable for quick posts that require little thought or time. But after investing a significant chunk of time to create and tune a blog post, you want to get as much out of it as possible. Instead of sharing your blog post on social media and watching the social media riptide instantly carry it away, pin your post to the top of your profiles. When you pin a post, it remains at the top of your profile. So when users view your profile page, your pinned post is the first post visible. This is great option when you share high investment content, like blog posts. It’s quick, easy and free to pin a tweet, pin a facebook post, linkedin post and more. There is one (nearly) universal law of online marketing: Everyone loves to get links. It’s free and easy to link to other people’s posts. And linking to valuable content is an easy way to make your blog highly useful to your readers. Generally speaking a lot of good things can happen (and more) when you mention someone in a positive light and link to them. They might link back to you. Perhaps they’ll follow you on social media. 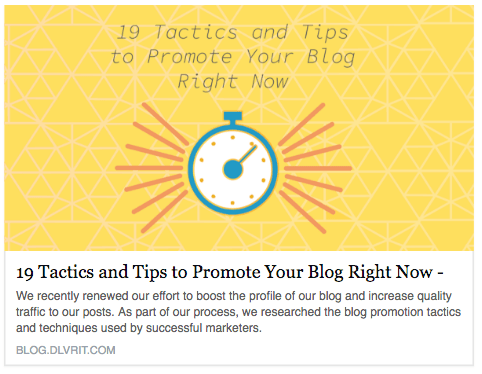 Next time you update your blog, they might share your post with their followers. And you might even make a new friend and business contact. Next time you write a blog post, make a point of mentioning a related post or article and linking to it from your blog post. Maybe even target an influencer who has written a relevant article and call them out with a link in your post. Most professional writers and bloggers track backlinks and are notified when their pages are linked to. More on backlink monitoring tools below. To increase your chance to be noticed, include multiple outbound links in your posts to related pages from multiple authors. To make an impact right now, update one of your existing blog posts to include a mention and a link. When you mention someone in your post, tag them the next time you promote that blog post on Twitter. It’s easy and let’s them know via Twitter that you’ve referenced them in your blog post. In most cases, it’s easy to track down the writer’s social media pages and determine if the author is active on Twitter. This approach to alerting the people to whom you’ve linked requires very little effort to initiate or respond. Contrast Twitter tagging with notifying someone via email – which can require time consuming email communication and may involve the touchy subject of sending unsolicited email. Make sure you understand the difference between a reply and a mention. Here are some additional details on using twitter mentions. 9. Monitor Links to Your Blog & Say thanks! If someone mentions you and links to your blog, reach out and say “thanks”. Thanks for the mention. We love hearing from happy https://t.co/0FieQ63JQe. users! Let us know how we can make https://t.co/0FieQ63JQe. even better. Cheers! 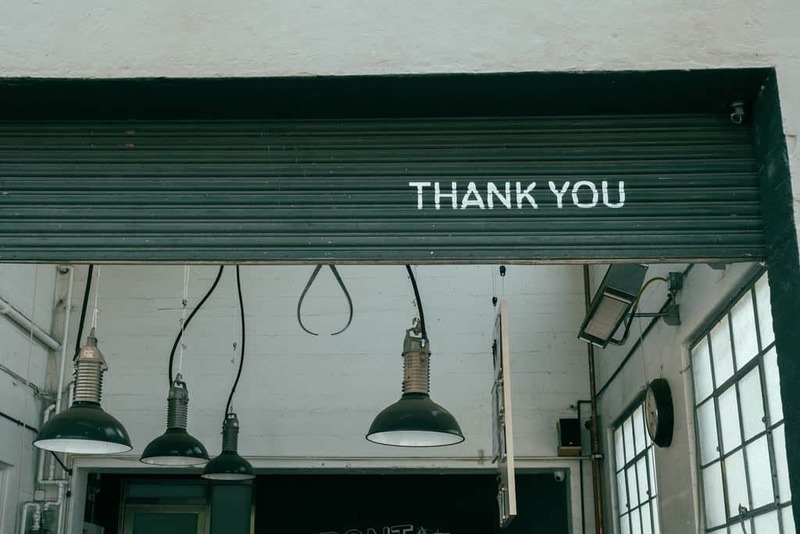 Saying thanks to a writer who has written about you builds goodwill and lays the foundation for future links and mentions. Next time you write about a related topic, let the writer know – you might get another link. Sending a thank you email is a more formal and a bit more time consuming. This approach may work better than a tweet if the author is someone you want to connect with and perhaps have a discussion longer than 140 characters at a time. It’s easy to monitor backlinks. If you are using wordpress, you may already be receiving a pingback notifications when another WordPress blog links to you. 10. Monitor Social Mentions and Shares – and Say Thank You! In addition to linking to you from a blog post, people will also mention you and link to you from social media. There are many tools to monitor social mentions of you and your site. Check your monitoring feed on a regular basis and respond with quick hello and thanks when someone shares your posts. Popular tools for monitoring social mentions include Hootsuite and Tweetdeck. As part of writing each of our new posts, we review dozens of related articles and blog posts. We discovered when reading posts, within a few seconds we judge the quality of the blog based on the layout and look and feel of the page. Based on this judgment, we determine how seriously we should take the post and if we are going to invest the time into reading the post. So what do we judge in a split second? We re subconsciously evaluating the visual presentation of the post. In short, if the post contains quality graphics and images that break up the text, we are more likely to take the article seriously and invest the time to read on. Posts with lots of words crammed into big paragraphs, small text, and limited or no graphics can feel ‘homemade’. We are likely to ignore the posts that lacked professional polish and focus our attention on more visually appealing blogs. Adding a little visual sizzle to your posts is easy and doesn’t require a dedicated graphic designer. 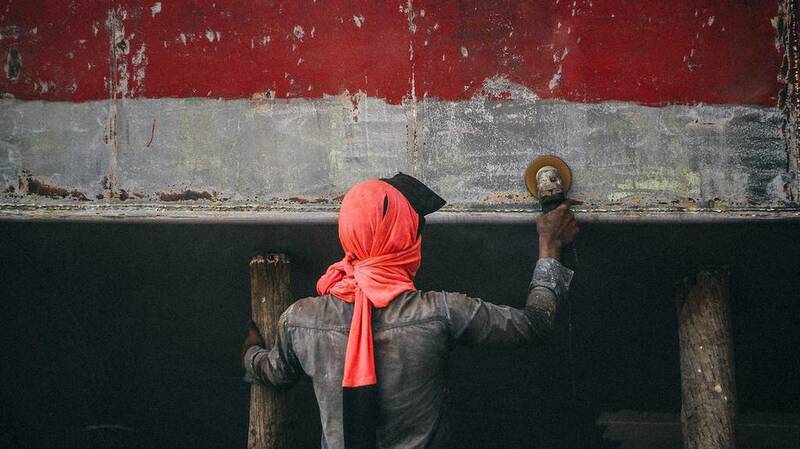 Photo libraries like UnSplash make it easy to find high quality, royalty free images. And easy-to-use graphic design tools like Canva and DesignBold allow even the graphic design novice to create eye-catching graphics to include in your blog posts and share on social media. 3. Update your blog post with the image. 4. Post a link to your updated blog post to social media, include the new image in your post. Add one to two hashtags per tweet and Instagram post and boost your visibility and traffic. Hashtags are a quick and easy way to help new people discover your posts. When creating new blog posts, you should include links to your other relevant posts and pages on your blog. This introduces visitors to your related posts and encourages them to stay on your site longer. Additionally, and perhaps even more importantly, internal links are good for SEO. The links around your blog tell Google what pages are valuable and useful on your site. Using focused anchor text provide Google with additional guidance on the keywords for pages. While you can’t control the backlinks other site give to you, you 100% control the internal links on your site. You can build internal links right now. Ideally, you should link to posts that are related or have a natural connection to the current post. As you create more content for your blog you’ll have a larger pool of content to link to. It is common practice for leading marketing blogs to include up to 10 internal links. So link away. 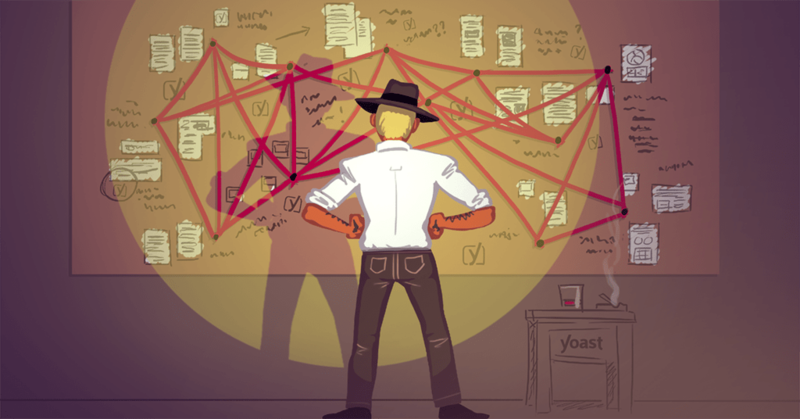 For WordPress users, Yoast is a popular tool to help you identify related posts and streamline the internal link building process. 1. Pick one of your existing blog posts to drive internal links to (the Target Post). 3. Update these related posts with a link back to your Target Post. Ideally, you will add the link to an important keyword or phrase in your Related Posts. You can also use the power of internal links to promote your newest article. Spend 10 minutes reviewing your older blog posts looking for opportunities to link back to your newest post. Adding internal links from a few related posts back to your latest effort can help boost traffic and boost SEO right out of the gate. OpenGraph tags are small code snippets on your pages that tell Facebook and other social platforms exactly how do display your page details when your readers share your page with their friends. Setting up your Open Graph tags correctly is key to making your posts look professional and driving more shares on social media. For instance, Open Graph tags specify the Title, Summary and Image that should be displayed by Facebook when your page is shared. If your pages do not explicitly call out Open Graph tags, you might be surprised by how your pages appears when shared on Facebook. The most common issues are the wrong image (or no image) displaying and a qmissing page summary. Use the Facebook debugger to see your pages as Facebook sees them. This tool will let you know if you are missing OG tags or if there are other errors that could impact the display of your pages on Facebook. WordPress users can set and control their Open Graph tags with Yoast or other Open Graph plugins. Twitter Cards allow you to attach rich photos, videos and media experiences to Tweets, helping to drive traffic to your website. Much like OpenGraph tags, Twitter Cards are small snippets of code on your pages that tell Twitter how to display your pages when someone shares your link. Tweets with images enjoy a 18% higher engagement rate. Twitter Card tags include Title, Summary and Media fields. There are many WordPress plugins that allow you to easily add and manage Twitter cards on your posts, including our tool of choice Yoast (https://yoast.com/). Writing a new blog post from the ground up is time consuming and labor intensive. Only after investing many hours in research, writing and editing can you publish a post and start promoting it. A faster way to give your blog a traffic boost is to freshen up an old post. In as quick as a few minutes you can make key updates and start promoting your freshly updated post on social media. What posts are top candidates for freshening up? Scan through your blog and identify posts that have not been updated in a long time and that cover topics that are relevant today. If a blog post is continuing to get traffic from google, that a sign people are still finding value in the post and it’s topic. We’ll have a lot more to say on this in a future post. Improve readability by breaking up text and adding images, screenshots or other graphics. It’s easy to check for broken links. Then share it again across your social profiles. If you pages load fast your visitors can view your page content quickly without waiting. Fast loading pages make for happy readers who are more likely to read your post and visit more pages on your site. Additionally, Google rewards pages (https://webmasters.googleblog.com/2010/04/using-site-speed-in-web-search-ranking.html) that load fast with higher placement in search results. 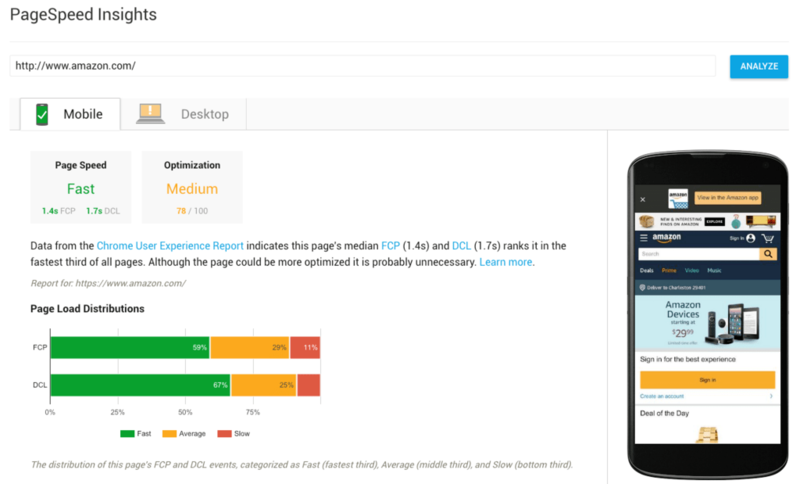 Google Page Insights and Pingdom offer simple free tools that analyze your page load speed and provide suggestions on how to improve your page load. The suggestions can be a bit technical in nature. 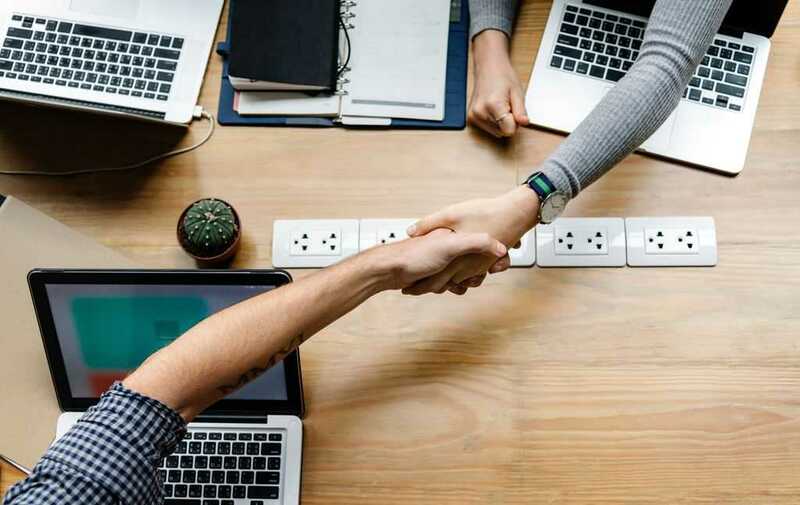 However, these tools will quickly let you know if your page speed is an issue that may be dragging down your traffic and wilting your search engine results. Learn more about Page Speed. These tools helped us identify caching and image optimization as are problem areas. Based on this feedback painlessly cut our page load time in half and experienced a significant lift in our Google search placement. BTW – we now use WP Rocket for caching and ShortPixel for optimizing our images. If you’re like us, you regularly add plugins to your blog and update their settings. It’s no surprise when all these plugins don’t work well together and cause formatting issues that can negatively impact your your SEO. You can quickly identify errors and issues on by using free SEO checkers such as SEO Analyzer and Site Checker Pro. Using these tools we identified some critical issues with our header tags (these ones: <h1>…<h2> and <h3>). These issues were introduced when we made an update to our blog design and added a couple new plugins. Based on the feedback from the SEO checkers, we cleaned up our headers and within 2 weeks the Google traffic to several key pages increased 20%+. Pick a couple of these blog promotion tactics and try them over the next week. Let’s us know what works best for you. And please let us know what we’ve missed from this list!